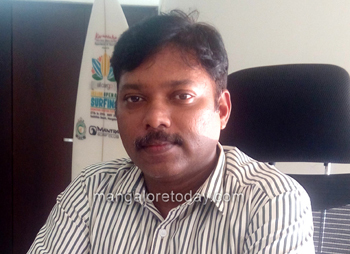 Mangaluru, July 04, 2018: DK DC Sasikanth Senthil has directed officials to clear the encroachment on Wenlock Hospital land, at Attavar. The encroached land should be reclaimed immediately, he added. Speaking at Arogya Raksha Samithi meeting of the Wenlock Hospital, he said a compound wall should be constructed around the Wenlock Hospital land. As per the memorandum letter which KMC Hospital has entered into for providing clinical service at Wenlock Hospital for 33 years, KMC has failed to construct a super speciality block at a cost of Rs 80 crore in the hospital premises, said Senthil. He directed District Surgeon Dr Rajeshwari Devi to write to the government on the failure of KMC in responding to the infrastructure at Wenlock Hospital. The DK DC said that private institutions have come forward to donate money to Wenlock Hospital. The posts of super speciality doctors in the hospital should be filled on contract basis. He said that the proposal to develop a road leading to the railway station beside Wenlock Hospital under Smart City project will be looked into. Additional DC Kumar, Lady Goschen Superintendent Dr Savitha and others were present.